HI guys! 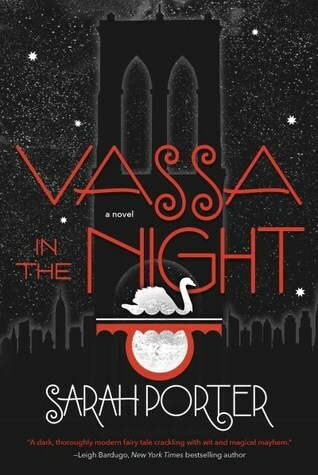 I got to interview Sarah Porter, author of Vassa in the Night! If you didn't know, Vassa in the night is a retelling of the Russian folktale, Vassilissa the Beautiful! Make sure to check the book out! I hope you guys enjoy this interview! Just for your reference, this interview is completely spoiler free so no worries! 1. What inspired you to write a retelling of the Russian Folktale, Vassilissa the beautiful? I grew up with Russian fairy tales! My family had a beautiful, very old book, Pace Wheeler's RUSSIAN WONDER TALES, from 1911, and often read the stories aloud at night. "Vassilissa" was one of our favorites. So writing VASSA IN THE NIGHT was a kind of tribute to my childhood, and to the stories that first formed my imagination. 2. In what ways do you relate to the main protagonist, Vassa? I love Vassa, but I honestly don't think I'm much like her. It's a funny thing when a character's voice takes on its own life, and you can feel the presence of someone who isn't much like you at all, but you're still the conduit for everything they say! I was horribly shy as a teenager; Vassa is kind of standoffish, but she's not shy, and she has no trouble speaking up for herself. Maybe I sometimes take a sardonic view of things, the way Vassa often does, and I had a chaotic upbringing, though chaotic in a very different way from hers. I was pretty depressed in my teens, so we have that in common, at least at the start of the book. And maybe I tend to take crazy things in stride, the way she does. That's all I can think of! 3. What book would you like to write a retelling of in the future? 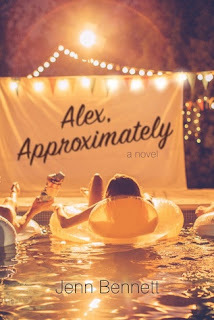 I'm pretty sure I'll never write another retelling, honestly. I have two books coming out in 2017, WHEN I CAST YOUR SHADOW and TENTACLE AND WING, and neither of them are retellings. And I have two more novels in progress, and they aren't retellings, either. Writing VASSA was a bit out of the usual for me. I do think the Russian fairy tale "Finest the Falcon" could make a great YA, but I won't be the one to write it! 4. 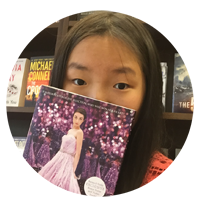 What is a YA book that you would recommend to anybody? No book is for everybody! But some I especially love are IMAGINARY GIRLS by Nova Ren Suma, I CRAWL THROUGH IT by A. S. King, and THE POX PARTY by M. T. Anderson. Among books that came out recently, or will come out soon, Kendare Blake's THREE DARK CROWNS is awesome, and so are Kristen Simmons's METALTOWN and CARAVEL by Stephanie Garber. 5. What advice do you give to aspiring writers? How do you first start a story? Reading is incredibly important for writers; it's the equivalent of practicing for musicians, especially when you're starting out. I'd advise reading for a few hours every day, and reading widely, including books that seem odd or difficult or aren't your usual kind of thing. The more different voices you're exposed to, the more your own voice can develop. It's also good to keep a secret journal, one you never show anybody, not even your best friend, and just scribble down every crazy random thing that comes into your head for maybe fifteen minutes before bed every night. It's a great way to discover the ideas that you didn't even know you had. After a while, ideas will start to just jump out of nowhere, and onto the page! I start a book, often, by trying to catch the character's voice; it's sort of like fiddling with a radio dial until the signal becomes clear. Even just a line or two can lead to an entire novel, if the voice is right! Sometimes I'll just jot down a bunch of lines until I feel like I'm "hearing" the character, and go from there. That was my interview with Sarah! Guys make sure to check Vassa in the Night and I hope you guys enjoyed this interview! Thank you once again, Sarah for letting me interview you!